Midland Asphalt Material, Inc., is located at 300 Cole Rd. 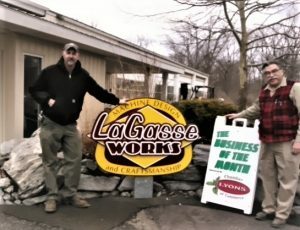 They have been a valued member of the Lyons community since 2002. They hire locally, putting both dollars and manpower into Lyons. Recently, the Lyons Community Center benefited from their support and generosity during the driveway & parking reconstruction. Midland creates innovation pavement solutions for their customers, while tapping into the strengths and expertise of each employee. They rely on state-of-the-art equipment and facilities. Their AADHTO certified laboratories in Lyons, NY and Tonawanda, NY continuously develop and test new products that set them apart from the completion. Midland believes that with their talented people and innovative processes, they will provide the traveling public the safest roads while becoming the premier emulsion producer and pavement preservation construction company in the Northeast. Midland Asphalt Material, Inc. commitments to safety and sustainable development. They are part of being a socially responsible, and an environmentally conscious member of our community. Throughout every level of the organization, the employees adhere to a strict set of best practices regarding safety and sustainability. Safety at work and on the road has always been one of Midland Asphalt Materials Inc.’s primary concerns: any business that cares about its human capital has a duty to actively look out for the physical safety of its employees. Opened for business in 1945, as a retail outlet selling appliances, furniture, mattress sets, and HDTV. Family owned and operated. Herman Brothers are the largest volume business of our kind between Rochester and Syracuse and has an in store service department servicing the products we sell. Known for low prices and a huge inventory. 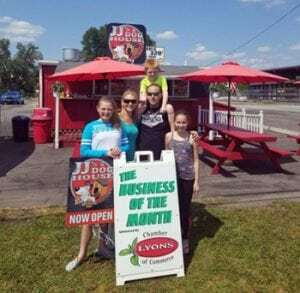 JJ’s Dog House Formerly “Smitty’s” opened this spring with a brand new menu. Joe Conaway decided to jump at the chance to try something new. He and his family and crew have put together an interesting menu. Joe says the menu offers “grilled favorites”. Stop in try one of his goodies. 18 Forgham St. Call ahead: 315-359-8083. 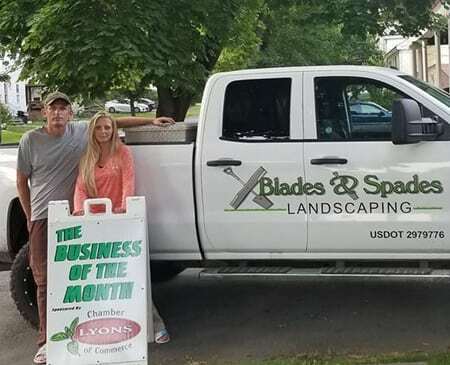 Established in 2015, Chris & Melissa have been providing full service landscaping service to Wayne County and the surrounding areas. Look to Blades & Spades for a five star professional landscape.